Bach Knives’ slicer blades are made from vacuum heat-treated forged tool steels and finished to minimize Total Indicator Runout (TIR) for optimal performance. For many applications, it is essential to use blades with minimal axial and radial TIR to achieve excellent cut quality. We also offer a highly polished cutting bevel which reduces heat during the cutting process that can distort or damage the product and prematurely diminish the cutting blade performance. 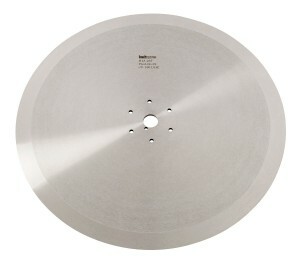 Contact a Bach Knives sales engineer for more information on our slicer blades.